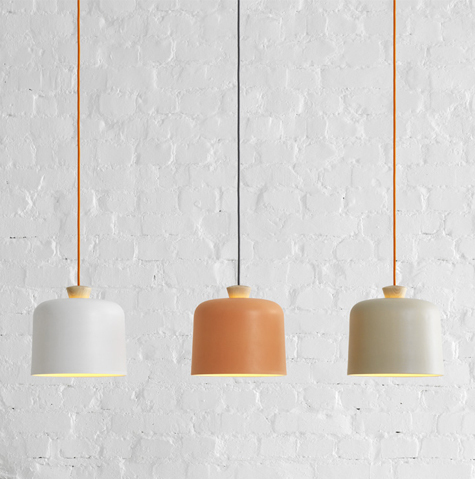 Loving the color palette of these Fuse Lamps by Note Design Studio for Ex.T. Airy colors, petite proportions and a tiny wooden detail. They work best as a group.